Given the nature of how Commissioning Support Units (CSUs) were formed, involving the merger of disparate Primary Care Trust IT and admin functions, many IT solutions and providers were inherited; a newly formed CSU typically had a multitude of solutions and providers which varied considerably across both staff and customer bases. Consolidation of these suppliers and technologies would obviously drive greater efficiencies, deliver cost savings and almost certainly improved functionality. NECS’ realised that to achieve operational excellence and offer best-value solutions for its clients it had to rationalise its inherited suppliers and solutions. The North of England Commissioning Support Unit (NECS) is one of the country’s leading providers of commissioning support services. NECS work with customers and partners across the health and social care spectrum to manage, analyse, and improve performance to ultimately enable their customers to achieve the best outcomes for their patients and populations. Their portfolio of services is constantly revaluated with a sharp focus on customer care and a relentless pursuit for continual improvement. Following formation, the CSU inherited many legacy and disparate IT systems which drove a need for consolidation. ITHealth’s flexible and scalable solutions were widely implemented reducing costs and simplifying management. Fast, reliable technology is a vital part of the smooth running and growth of any organisation. One of NECS’ primary aims as a CSU is to ensure that its customers are getting the most from technology – providing high quality, best value solutions. Their aim is to ensure that Information Communications Technology (ICT) successfully supports the needs of their customers’ businesses now and in the future. NECS’ customers and staff require secure and seamless access to a number of key systems daily, e.g. email, network, and clinical systems. 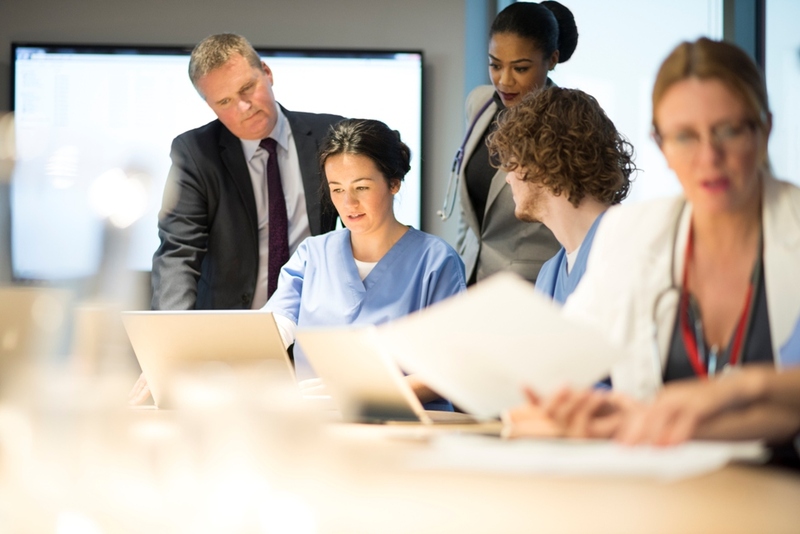 NECS know that it is vital for all NHS users that when they switch on their PC, laptop, or tablet that the device should work effectively and provide secure, robust, and seamless access to the systems that the user has approved access to. They also know the user needs to be secure from viruses and other threats which could impact the technology and put highly sensitive data at risk. Managing and supporting access to these key systems is challenging for NECS, as some of the systems have to integrate and work in harmony, irrespective of whether the user is in their regular place of work or in a remote working location. Given the inherited and disparate IT systems, there was a requirement to standardise and consolidate the technology and solutions to ensure that, where possible, there was only one provider for any specific function. As a CSU, it’s very important that we offer high quality, best value solutions to both our staff and customers. The ITHealth solutions provided were all fully scalable, flexible and resilient; they also and conformed to required information governance policies and standards. Perhaps more importantly, ITHealth had the ability to integrate these technologies so they could work seamlessly together at the desktop to improve user efficiencies. Given NECS’ existing confidence in the ITHealth working relationship and the product support and delivery provided, it made ITHealth solutions an obvious choice for wider rollout within NECS – to its customers and own internal staff. In a market that is under constant pressure to do more with less, NECS now have the time to focus on delivering new and innovative services to its customers with the ultimate aim of providing better patient care. The level of support we receive from ITHealth is excellent. The technicians clearly have a wealth of experience of NHS systems and interoperability which is extremely valuable to us as a customer.